Ask us: Barlow Robbins: If you make a claim, how much compensation are you entitled to? Barlow Robbins: If you make a claim, how much compensation are you entitled to? After suffering a severe spinal cord injury you may have concerns about finances and worried about how you will afford to make changes to your accommodation, buy equipment to help you live your life and if necessary buy a new home. 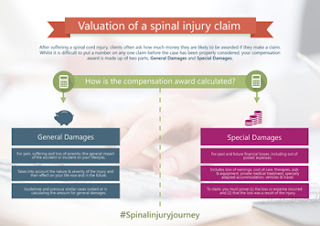 Clients sometimes ask us ‘How much money am I likely to get if I bring a claim?’ As such, we thought it would be helpful in today’s blog to set out below the way in which damages or compensation is calculated.